errata, bloopers, typos, venom and snark. I feel compelled to tell you that in the interest of fair play, whenever possible, I sent a heads-up to each webmaster. In some instances, I've tried several times. That, of course, is no guarantee that these bloopers have been fixed. And there's still a snowball's chance that they aren't errors after all. After all, nobody's perfect. Unfortunately, I've lost track of the wholesale website from which I captured this photo and text. I applaud this writer's effort to communicate in what is clearly his second language; it would be an impossible task for me. However, I find it impossible to resist noting that writers from this particular country still have not tumbled to their own need to employ a native speaker of English when writing for English speaking customers. 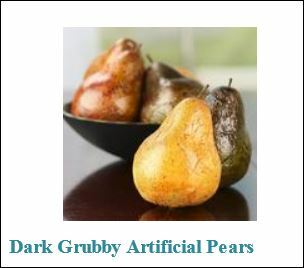 Maybe they'd sell more Rustic Faux Pears. All Free Sewing.com (a free pattern site) delivers a shot below the belt with this blow-coffee-out-your-nose misspelling of midriff. "Cinched below the bust and flared over your mid-drift, enjoy complete comfort in a designer pattern." Move to the head of the class if you can figure out at least two things wrong with the construction of that sentence. And how about this one. "You'll feel and look your best in this loose-fit and flattering piece." What I'd like to ask Coats & Clark / Free Spirit Fabrics is what they were smoking when they signed off on the text? Where's the market research that backs up the assertion that wearers will "look their best" wearing a carpetbag? Where's your good taste? This unfortunate choice of fabrics makes even a slim model look chunky and sloppy. ﻿The﻿ Brook Farm General Store's slogan (set in smaller type below its home page header above) reads, "a feeling similar to being tucked lovingly into a soft-boiled egg." Presumably, what they intended to convey is the way a trip to their store makes you feel. Would this encourage you to go? Maybe I should send this to Bulwer Lytton. "Sorry, something went wrong. A team of highly trained monkeys has been dispatched to deal with this situation. If you see them, show them this information:"
Great. Now I know it's not Kansas anymore. "(My) Weebly site fits that vision for me." Presumably, Zach and Deb wanted to say something nice about Weebly, but unfortunately, the illegible text said exactly the opposite. I captured their error for everyone to see. Excuse me while I snicker. With gasoline prices on the rise and all the unnerving talk of Russia eating Crimea, the entire world and especially Ohioans seem to have turned a blind eye to a certain topological feature lurking in the western Lake Erie basin whose link bears the surname, astonishingly, of Russian Premier Vladimir the Much Maligned, though to tell you the gods' truth, I think he still looks pretty good in waders. Have a look at this link to Putin Bay. How could such a place have appeared in US inland waters overnight without the government taking notice? Is this offshore anchorage what Mr. Putin is dreaming about when he gets that faraway glazed look in his eyes? Might this be part of the Premier's dirty little scheme to take the juju off his name and desensitize our minds to Red aggression—, one small Lake Erie island at a time? Of course, some will say that Putin Bay is nothing more than a punctuation boo-boo innocently perpetuated by the local chambers of commerce. Most will argue that Putin Bay couldn't possibly be a watery hide-away for a certain international bad boy. Why would he even care? To those forgetful souls I will say only this: the strategic advantage this little bay afforded Commodore Oliver Hazard Perry and the US naval fleet when they defeated the British in the Battle of Lake Erie in the War of 1812 may never be truly appreciated. Surely the International Peace Memorial on South Bass Island is a lasting testament. Those, then, who say that Putin Bay is just a case of vanishing punctuation are simply missing the boat. Never in the history of Lake Erie has a jot or tittle meant so much: the locals can ill afford to cast off meaningful hyphens from their URL's if they wish to promote tourism and communicate the true identity of their little paradise, the "Key West of the North." And the same principle applies to punctuation. The missing hyphens have changed a quiet little Ohio town into a foreign port of call. Losing the hyphen turns Put-In-Bay into Putin Bay, the last refuge of a scoundrel. 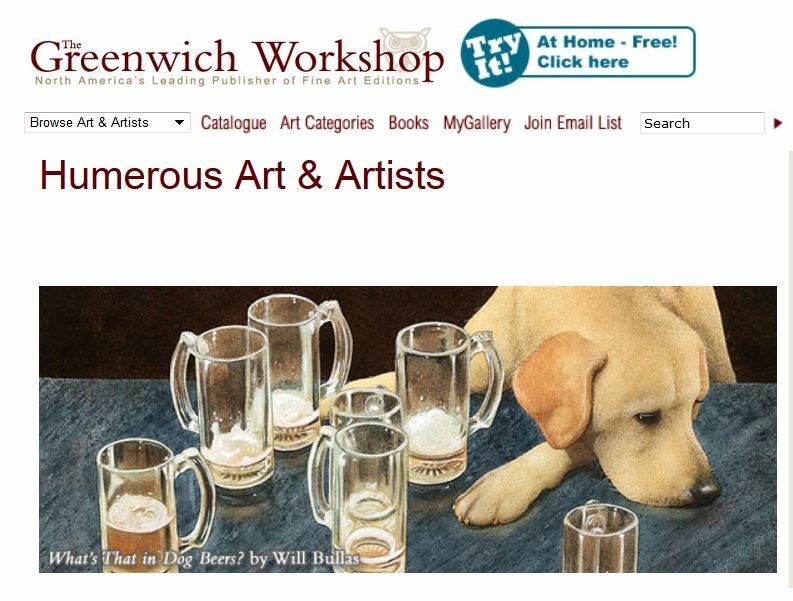 "North America’s leading fine art publisher specializing in the burgeoning medium of visual entertainment." Maybe, I say to myself, they're having a little joke on us. This yummy ethic spot is my favorite dinner haunt and watering hole. It's like going to Grandma's. The food is homemade. The prices are modest. And they treat you like family. Go. You'll thank me. What bugs me is this longstanding misspelling embedded in their ad graphic: Res-tar-aunt. It's one of those typos you look at but can't seem to see. Sort of like Bar & Grill being spelled Barre & Grille. Or maybe not. 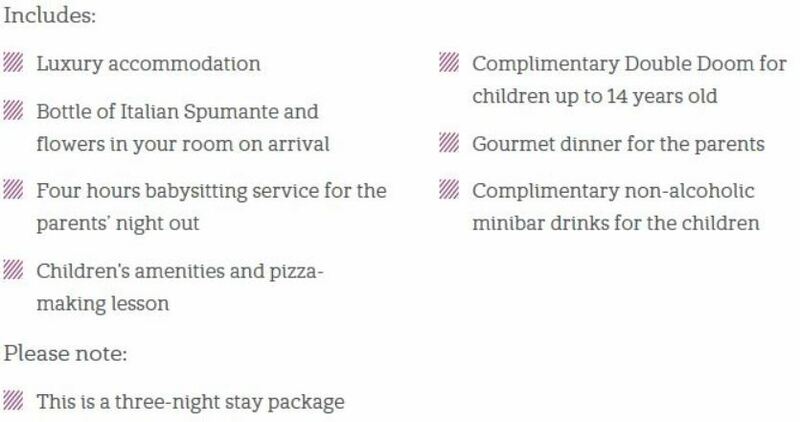 Among the over-the-top amenities offered in the family package to pamper the kiddies are pizza lessons, a non-alcoholic mini-bar and babysitting, along with the ominous "Complimentary Double Doom". Makes it sound as if the kids will feel pampered all right, at least until the final moment when they realize double doom isn't a video game and they meet that cranky Sicilian burro. And of course, the kids' complimentary doom will be followed by a gourmet dinner for mom and dad. Maybe like Kronos, they'll eat the kids. Here it is below, lifted exactly as it was posted to the website. There's just something about old world advertising that shakes you by the shoulders and screams a warning that English isn't the writer's first language. Midway into the bulleted list of features in the ad below, the romantic honeymoon goes fershimmelt after the candlelit dinner for two, which is followed by only one poolside lunch and then the ultimate honeymoon insult: the romantic evening turndown.